Commercial Real Estate Financing In Washington D.C.
Accounts Receivable Financing In Washington, D.C.
Small Business Loans In Washington, D.C.
Everyone understands that recycling for the short term has long-term results for a cleaner, more sustainable planet. People see the value in clean water, balanced ecosystems, and energy conservation. But just as recycling can save the planet on both local and global levels, it can also save money on similar scales. We have become very used to separating our various recyclables like aluminum cans, plastic containers, glass bottles, and paper and sending them off to a recycling center. Sometimes we take those recyclables into the local grocery store and make a small amount of money on the bottle and can deposits. No one is going to retire off of the money from recycling, but getting your local school and even your entire neighborhood to make a commitment to recycling can have long-reaching effects. Those recyclables go back to companies as raw materials to be used in product manufacturing. When those companies do not have to spend money and energy (costs are reduced by up to 30% when using recycled materials) sourcing and refining those materials from the ground (metals, glass, petroleum products, etc.) then the cost of manufacturing drops and those savings are passed on to employees and customers alike. As an individual, there is a lot you can do to save money by recycling. You can take paper goods, such as old textbooks, scrap printer paper, notebooks, and newspapers to the local recycling plant. Big paper companies repopulate deforested areas with new trees, but the time it takes for those trees to reach a “harvesting age” can take many years. Recycling paper goods can offset the cost of sourcing mature trees from new areas, while also giving saplings time to grow. Cardboard boxes can be broken down and kept in a closet for such things as shipping gifts, or packing up your own belongings when it is time to move to a new place. It should be noted that more complex items, such as broken or outdated electronics, can also be recycled. There are companies dedicated to salvaging the silicon, precious metals, and other components from computers, stereos, CRT monitors, televisions, and other gadgets. No one should every attempt to do this on their own, as the process to breaking down and recovering those components in their raw forms can often involve special chemicals. It is best to stay safe, and drop off those items with the specialists. Some will even pay you money, depending on the goods you bring in to them. Recycling doesn’t have to stop metal, paper, glass, and plastic. Items such as clothing, old books, functioning electronics, and other non-perishable items can be handed down to relatives, or donated to local secondhand shops. While this will not save you money directly, it will give you a good feeling knowing that the items you have donated are getting into the hands of people who need them and can make good use of them. This will help other households save money and put it towards other priorities, rather than spending it on new clothes and electronics, which may be too expensive for their budgets. Upcycling is a recent trend that has caught on, where people take items that cannot be donated or easily recycled through conventional means, and transform them into something completely new. Taking an old chair and upholstering it with pieces of old dresses; turning parts of broken toys into jewelry; wiring old bottles so that they function as lamps; or taking ripped furniture fabric and turning it into costuming for a special event – all of these things are forms of upcycling, and people will pay good money for these original works. While there really is no outlet for unused food, it can be used to make your own life (or the community’s) a little better. By transforming leftover food into compost for your own garden, or for a community green space, you will be creating high quality topsoil and fertilizer. In reality, topsail is a finite resource, and because so much of it has been removed over the past decades, many areas are in danger of erosion – plants and trees have nowhere to spread their roots. Compost and topsoil do more than just adding beauty to an area, they combat real environmental dangers. Finally, another concept that has gained national momentum is Freecycle. 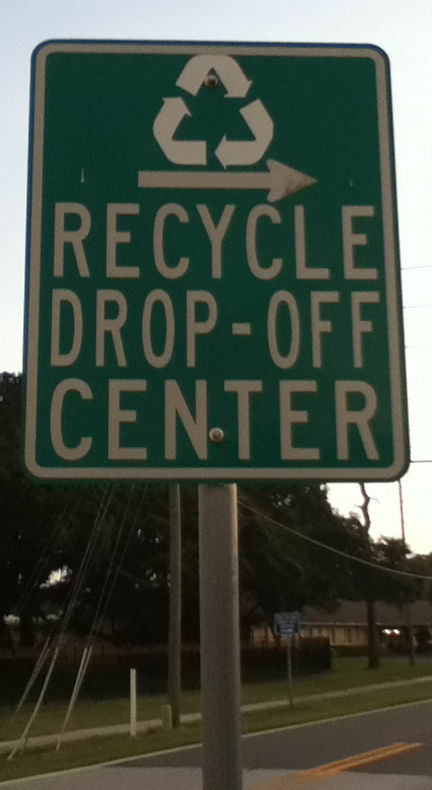 There are Freecycle websites for almost every area in the United States, with many members looking for unused items that they can put to good use. If you aren’t using items that are still in good shape, and can likewise motivate people in your community to do the same, then many items that would otherwise go to waste or sit gathering dust will make their way into the hands of people who can make good use of them. The point of Frerecycle groups is not to make money, but to reduce the overall cost of things and making our world a better place in the process – and you cannot put a value on that. Call us today for a no obligation analysis on your financial situation. Abel Commercial Funding is a leading provider of alternative funding solutions for businesses of all types and sizes. Abel Commercial Funding offers business and commercial real estate financing products. We provide your best funding solutions to help your business and real estate. Contact us today for your business financing requests. Follow us on our social websites to stay up to date on our company, new products and industry news.